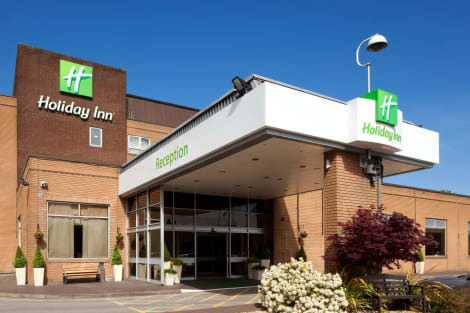 A smart Eastleigh hotel close to Southampton, with event facilities and a health clubHoliday Inn® Southampton-Eastleigh M3, Jct 13 hotel is 15 minutes by car from both Southampton and Winchester.The M3 and M27 motorways are close by, and flights at Southampton Airport (SOU) are only a 10-minute drive away. Our handy Park, Stay & Go packages mean you can leave your car for up to 15 days. 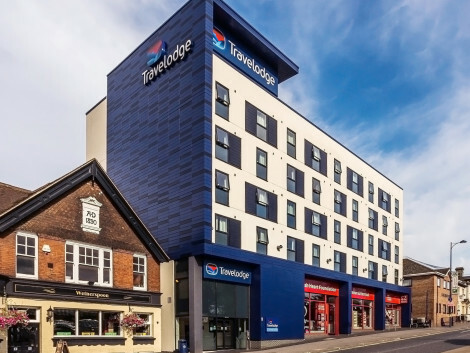 Rail services at Eastleigh station are a mile and a half away, and cruise passengers are within easy reach of the Southampton terminals. You can get back to nature at New Forest National Park or South Downs National Park, and kids love trips to nearby Peppa Pig World and Marwell Zoo. If you’re planning a big event, our Academy conference centre spans 10 flexible rooms, with space for 110 guests.At this hotel you can enjoy:- Free WiFi- Free parking- 24-hour room service- Kids stay and eat freeHead to our Spirit Health Club to hit the treadmill in the fitness centre, unwind in the heated pool and sauna, or indulge in a soothing beauty treatment. Our Junction restaurant serves tasty meals for breakfast, lunch and dinner, and you can enjoy an after-dinner drink in the sleek lounge bar. Comfy bedrooms with blackout blinds and pillow menus offer a peaceful retreat at the end of the day. Set in the picturesque Hamble Valley, close to the South coast, Eastleigh is a vibrant town on the river Itchen. With twice-weekly markets, popular shops and one of England's premier fly fishing streams, Eastleigh hotels promise an enjoyable retreat. Eastleigh's theatre, called The Point, is a popular attraction with a range of dance, theatre and arts performances. To find out about the town's history, the Eastleigh Museum gives an interesting glimpse into life here in the 1930s and includes a number of locomotive displays as well as special exhibitions. Families will enjoy a trip to the Hollywood Bowl, which also has a bar, café and range of amusements. For a traditional activity, the Eastleigh Lakeside Railway takes visitors on a 20-minute trip around Eastleigh. Youngsters will also have fun at Gambado – a popular play centre with a climbing wall and rides. For outdoor pursuits, visitors can explore the Hocombe Mead Nature Reserve – an area of historic woodland and meadow – and enjoy its rich habitat and range of butterflies. The Itchen Valley Country Park has 440 acres of attractive water meadows and woodlands as well as a visitors centre and café. With a number of walking trails and a children's play park, it promises an enjoyable day out for the family. For those seeking more adventurous activities, try out TeamSport Indoor Go Karting. The Swan Centre has a number of stores to explore, while the Terrace offers a variety of shops, eateries and leisure attractions. A local market is held on Thursdays and Saturdays, selling everything from fresh food to jewellery. The Swan Centre has a range of restaurants to suit everyone's tastes. La Fenice Italian Restaurant is a popular choice in town, while the Dog and Crook is a comforSEOSITE_LEVEL_DESCRIPTION pub serving Sunday roasts. For something different, ChiMiCHANGA serves Mexican food in a lively setting. Eastleigh is also home to a number of tea rooms, with The Orangery Tea Rooms at Arturi's Garden Centre being a particularly prized choice.